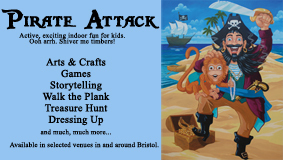 The West Country is synonymous with piracy and the exploits of many of the most famous pirates in history, including Sir Francis Drake, Sir Walter Raleigh, Sir John Hawkins and Edward Teach, better known as Blackbeard. Hollywood movies from the 1930s onwards have immortalised the broad West Country accent as the supposedly authentic voice of pirates from the Golden Age of Piracy. Its role in the history of piracy, however, is more than an invention of books, films and plays. 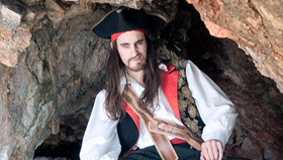 Traditionally, the coastline of South West England has lent itself to piracy. Ships and boats could be easily hidden in the many coves and inlets, which also made for great hiding places for pirated and smuggled goods. However, it was less the remoteness of its location than its role in international trade that marked the West Country out as a centre for piracy. 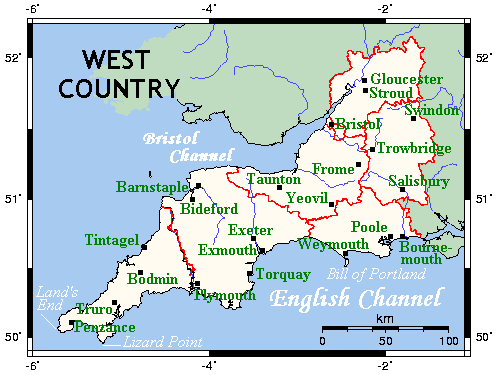 The South West provided many of the ports, ships and men that enabled trade with Europe and the rest of the world as Britain began to build a global empire. Its sailors filled Britain’s navy creating the skills and physical toughness that would be needed when breaks in the almost constant naval wars and regular economic downturns pushed many into the alternative trade of piracy. Henry “Long Ben” Avery was born in Newton Ferrers near Plymouth sometime between 1653 and 1659. Some contemporary accounts spell his last name ‘Every’. He soon took to sea, and served on several different merchant vessels as well as ships of war when England went to war with France in 1688. He led an onboard mutiny in 1694 and turned to a life of piracy. Avery made one big score – the Grand Moghul of India’s treasure ship “Ganj-i-Sawai” – before retiring. Contemporaries believed that Avery made his way to Madagascar with his loot where he set himself up as a King, with his own fleet and thousands of men. There seems to be evidence that he returned to England and died penniless, however, and little is known for certain of his ultimate fate. Samuel Bellamy was born in Hittisleigh in Devon, it is speculated, in February or March, 1689 and died on April 27th, 1717. While his days as a pirate lasted barely more than one year, he and his crew captured more than 50 ships before his untimely death at the age of 28. His nickname ‘Black Sam’ was given to him because he didn’t like wearing the fashionable powdered wig and instead tied his long black hair with a band of cloth. Despite numbering Blackbeard as a sometime crewmate, Bellamy was known to be a merciful and generous pirate – gentlemanly in his ruthless trade. This reputation gained him a second nickname as ‘Prince of Pirates’ and his crew called themselves ‘Robin Hood’s Men’. Bellamy died in a violent storm off the coast of Massachusetts on April 27th, 1717. 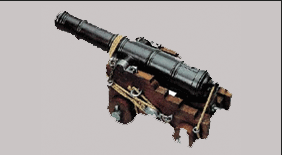 In 1984, the wreckage of his flagship Whydah was discovered. At the time of its sinking, the Whydah, a captured British slave ship on the homeward leg of its voyage, was the largest pirate prize ever captured, and the treasure in its hold included huge quantities of indigo, ivory, gold, and over 10,000 coins. Edward Teach, also known as ‘Blackbeard’ was born in Bristol, around 1680. Little is known of his early life. He served in British privateering ships during Queen Anne’s War (1702 – 13) before joining up with fellow pirates Benjamin Hornigold and then Stede Bonnet in 1716 and 1717. Blackbeard used fear and intimidation to cause his enemies to surrender without a fight. Always well armed, he grew a spectacular beard adorned with lit fuses to exaggerate his warlike appearance in battle. During his time as a pirate captain – about a year and a half – Blackbeard terrorized the shipping lanes between the Americas and Europe, capturing dozens of ships. He was finally captured in November 1718, his severed head prominently displayed on the bowsprit of the British naval ship that had defeated him. Christopher Condent was born in the late 1690′s in Plymouth. Little is known of his early life, though he is mentioned among the men that fled New Providence when Woodes Rogers arrived in 1718. He was quartermaster aboard a privateer from New York, and so most likely saw action during Queen Anne’s War (1702-1713). Mixing skill and a ruthless streak Condent soon became an active and successful pirate captain capturing a Portuguese wine vessel, a few small ships, and a Dutch war ship. Condent named the war ship the Flying Dragon using it to raid the Brazilian coast capturing ships and torturing prisoners. By the summer of 1719, Condent had reached the pirate haven of Madagascar where he hired more crew members. He then headed toward the Indian Coast and the Red Sea attacking shipping bound to or from India and South East Asia. After returning to the island of Saint Marie (Reunion) and dividing up the spoils from a Moorish galleon, he along with 40 members of his crew sailed to the island of Reunion to negotiate a French pardon. Several of his crew settled on the island while Condent married the governor’s sister-in-law, traveled to France lived the remainder of his life as a wealthy merchant in St. Malo. The only recognized pirate allowed wall space in London’s National Portrait Gallery, William Dampier was born in East Coker, Somerset, in 1651. He fought (1673) in the Dutch War, managed a plantation in Jamaica (1674), and then worked with logwood cutters in Honduras (1675-78). After taking part in a buccaneering expedition against Spanish America (1679-81), he sailed from Virginia in 1683 on a piratical voyage along the coast of Africa, across the Atlantic, and around Cape Horn to prey on Spanish cities on the west coast of South America. The party split up, and Dampier joined a group that crossed to the Philippines. Dampier was marooned (probably voluntarily) in the Nicobar Islands. After many hardships, he returned to England in 1691. He published a widely read account of his experiences in A New Voyage round the World (1697), supplemented by Voyages and Descriptions (1699), which included Discourse of Trade-Winds, a masterly treatise on hydrography. Dampier was made a naval officer and commanded an expedition (1699-1701) to Australia, New Guinea, and New Britain (which he discovered to be an island and named). Other discoveries included Dampier Archipelago and Dampier Strait. His vessel, the Roebuck, finally foundered off Ascension island. Dampier subsequently commanded an unsuccessful privateering expedition (1703-7) in the course of which Alexander Selkirk was voluntarily marooned. Dampier’s account was published in his Voyage to New Holland (Part I, 1703; Part II, 1709). Though an excellent hydrographer and navigator, he proved an incompetent commander, guilty of drunkenness and overbearing conduct. He was also pilot to Woodes Rogers on a voyage around the world (1708-11). Remarkably for a former buccaneer he died of old age in 1715. Sir Francis Drake was born in 1540 in Tavistock, Devon, England and was already a veteran of the sea by his early twenties, first as an apprentice on a small trading ship and then as a privateer raiding Spanish shipping. His pirate raids on Spanish ships off the coast of America were encouraged by Queen Elizabeth I. Drake’s successful battles against the Spanish helped England become a major sea power. In his ship The Golden Hinde Drake started his famous circumnavigation of the world from Plymouth, England, November 15, 1577, passing through the Strait of Magellan (southern tip of South America) into the Pacific, coasting up the western shores of the Americas, crossing to Asia and the Philippines, and finally returning to Britain on September 26, 1580. Drake came back from his voyage with his ship packed full of spices from the Indies, and plundered Spanish silver and treasure. Drake was knighted by Queen Elizabeth l for his courage, and for the treasures he brought back with him, enough to pay off the entire national debt. In 1587, Elizabeth I put Drake in command of an expedition to attack a Spanish fleet , which was getting ready to attack England. Drake sailed right in to Cadiz harbour and wrecked the ships there, before going on to capture another hundred Spanish ships elsewhere. It was said he’d ‘singed the king of Spain’s beard’. By 1588, he was Vice-Admiral of the fleet which defeated the Spanish Armada. Drake died of yellow fever in the Caribbean in 1696. In the early 15th century the activities of Fowey pirates began to attract notoriety to this hard-working port in south Cornwall. The most successful was Mark Mixtow, a licensed privateer. However, he did not limit his attacks to then the then enemy France but also plundered Flemish, Hanseatic and Spanish ships the latter causing considerable embarrassment to the English crown. It was not long before the reputation of Fowey attracted more newcomers to this den of piracy and the 15th century were Fowey’s greatest heyday. This was a very lucrative trade and attracted other ‘entrepreneurial’ seamen to Fowey, including the renowned Dutch pirate Hankyn Seelander. It also sucked in an assortment of merchants and prominent local families who dealt in whole shiploads of stolen goods. Country squires and government officials financed and armed the pirate ships and engaged the crews to sail them. The looted property was sold to people who streamed in from a wide area under the eyes of the Customs and port bailiffs. John Hawkins was born in 1532 in Plymouth. Following varied experience at sea from a young age he earned the dubious honour of becoming Britain’s first African slave trader, stealing enslaved West Africans from Portuguese ships and selling them illegally all over the Spanish Main. Recognising his usefulness for promoting England’s commercial interests Wueen Elizabeth eventually became one of his backers despite increasing strain between England and France, and she was protected by Hawkins from the plots of Spain to remove her from the throne. Beginning in 1577 as naval treasurer and later as chief administrator, Hawkins spent time on land streamlining both the navy’s finances and her ships, as well as backing his cousin Sir Francis Drake. His efforts led to receiving knighthood and contributed greatly to the ultimate defeat of the Spanish Armada in 1588. John Hawkins wished to deal the Spanish a deathblow, and so he sailed with Martin Frobisher in an attack on the Spanish Treasure Fleet in the Azores in 1590. The operation was a tactical failure but an inspirational success; it started a growing movement of pirates and piracy that would help to break the hold of Spain in the New World. He spent several more years occupied with his business before sailing one last time with Francis Drake to South America in 1595. There were reports that he was attempting to rescue his son Richard from captivity in Peru. He died at 63 of an unknown illness aboard his ship near Puerto Rico. The Killigrew family, which lived in Cornwall, had a notorious reputation for seizing ships, appropriating the cargo, and selling both to finance their lifestyle. Mary Killigrew, who had married Sir John Killigrew, was herself the daughter of a pirate. On the first of January in 1583, the Maria docked at Arwenack Castle where Lady Killigrew entertained them. For several days the Spanish captain and others visited Penryn. On their return they discovered the Maria had disappeared. William de Marisco, sometimes known as William Marsh, was born in the 1200′s and he was the ‘owner’ of Lundy Island in the Bristol Channel. He built a castle there, known today as Marisco castle. He attacked and plundered ships in the Bristol Channel, viciously attacked the Devonshire coasts and committed robberies. Marisco was accused of plotting and attempting to carry out an assassination on King Henry III as well as several of the King’s messengers. In 1242 an army sent by Henry III invaded Lundy Island, capturing William and 16 of his fellow men. They were taken to England and imprisoned in the Tower of London. William was convicted of treason and condemned to death. He was dragged to Tyburn, tied to a horse without a hurdle, on the day of his execution. Once there, he became one of the first men to suffer the punishment of being hanged, drawn and quartered. He was hanged, disembowelled whilst still alive, then beheaded. His four quarters were displayed in cities throughout England. Like John Phillips a century later John Nutt was born in Lympstone, near Exmouth and also travelled to Newfoundland as a gunner on a Dartmouth ship around 1620.He soon organized a small crew with whom he seized a small French fishing boat as well as two other French ships during the summer of 1621 before returning to the western coast of England. He used unemployed sailors, particularly those conscripted to press gangs, and lured away a significant number from the Royal Navy. He would also offer his services to protect French and English settlements including the Colony of Avalon then under the leadership of George Calvert. He would continue raiding shipping both in the Gulf of St. Lawrence and the Irish Sea for over three years, often avoiding attempts to apprehend him, before he requested a royal pardon from John Eliot, the Vice Admiral of Devon. Eliot agreed in exchange for a £500 bond, however he was arrested by Eliot and imprisoned once back in England. Tried and convicted for piracy, Nutt was about to be hanged when George Calvert, then Secretary of State, intervened on his behalf having been a friend and associate of his while Nutt and his family were living in the Avalon Colony. Nutt was given his pardon and also granted £100 in compensation while Eliot, for his betrayal, was charged for abusing his position and imprisoned. Believed to have been born around 1365 in Poole, Paye led naval raids along the coast of France and Spain taking many prisoners and exacting ransoms. He also helped quell the Welsh revolts brought about by Owain Glyndŵr, defeating a French fleet sent to aid the uprising. During an expedition in 1406, he captured 120 French prizes off the coast of Brittany . Although Harry mixed piracy with state-sponsored privateering he enjoyed the loyal support of Henry IV. He was made an inspector of fortifications for the Cinque Ports, helping defend England’s southern coast. Harry Paye died in 1419. John Phillips was a former cod fisherman from Lympstone, just north of Exmouth. Having turned to piracy whilst fishing off Newfoundland in 1723, he and his colleagues seized over thirty vessels in an area bordered by the West Indies and the eastern seaboard of North America. His career as a pirate lasting barely a year, Phillips eventually met his end at the hands of fellow pirates, first losing a leg during a fight and then having his skull crushed in a mutiny. Like Blackbeard his head was cut off and hung from the bowsprit, before, at the request of the Massachusetts Court of Admiralty, it was sent to Boston in a pickle barrel. Walter Raleigh was born at Hayes Barton in Devon around 1552. He attended Oxford University for a time, fought with the Huguenots in France and later studied law in London. In 1578, Raleigh sailed to America with explorer Sir Humphrey Gilbert, his half brother. In 1585, he sponsored the first English colony in America on Roanoke Island (now North Carolina). The colony failed and another attempt at colonisation also failed in 1587. Raleigh has been credited with bringing potatoes and tobacco back to Britain, although both of these were already known via the Spanish. Raleigh did help to make smoking popular at court. Raleigh first came to the attention of Elizabeth I in 1580, when he went to Ireland to help suppress an uprising in Munster. He soon became a favourite of the queen, and was knighted and appointed captain of the Queen’s Guard (1587). He became a member of parliament in 1584 and received extensive estates in Ireland. In 1592, the queen discovered Raleigh’s secret marriage to one of her maids of honour, Elizabeth Throckmorton. This discovery threw Elizabeth into a jealous rage and Raleigh and his wife were imprisoned in the Tower. On his release, in an attempt to find favour with the queen, he set off on an unsuccessful expedition to find El Dorado, the fabled ‘Golden Land’, rumoured to be situated somewhere beyond the mouth of the Orinoco river in Guiana (now Venezuela). As with other privateers supporting England’s commercial interests Drake was regarded as a pirate by Spain. Elizabeth’s successor, James I of England and VI of Scotland, disliked Raleigh, and in 1603 he was accused of plotting against the king and sentenced to death. This was reduced to life imprisonment and Raleigh spent the next 12 years in the Tower of London, where he wrote the first volume of his ‘History of the World’ (1614). In 1616, Raleigh was released to lead a second expedition to search for El Dorado. The expedition was a failure, and Raleigh also defied the king’s instructions by attacking the Spanish. 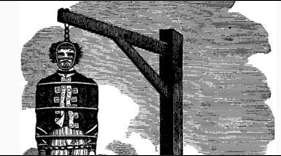 On his return to England, the death sentence was reinstated and Raleigh’s execution took place on 29 October 1618. Born around 1679 Woodes Rogers started his working life as an ordinary seaman and Bristol merchant. Between the years 1708-1711, he commanded a privateering expedition around the world, sponsored by fellow Bristol merchants. In 1709 he rescued Alexander Selkirk –a Scottish seaman whose adventures later provided the basis for Daniel Defoe’s Robinson Crusoe -from a Pacific island. Turning from privateer into pirate-hunter, Woodes Rogers was appointed royal governor of the Bahamas in 1717. The following year he arrived at its capital Nassau, headquarters of more than 2,000 pirates, where he established orderly government and forced many outlaws to surrender. Rogers succeeded in controlling the pirates but mostly at his own expense. Little monetary and military support came from England. Consequently, the islands remained poor and susceptible to Spanish attack. Rogers offered pardons to pirates in an effort to get them to turn. While most were skeptical, many eventually accepted, even helping Rogers to hunt down those that did not making the Bahamas virtually pirate free. He died in Nassau in 1732. Thomas Stukeley was one of the most colourful characters of the Elizabethan age, whose exploits as a pirate were complemented by his similarly larger than life roles as a forger, colonial adventurer, political advisor and mercenary. Born at Affeton Castle near Witheridge in mid-Devon around 1525, his father was a future Sheriff of Devon although there were rumours Thomas’s real father was Henry VIII. He saw military service in France in his teens. His later association with the overthrown Protector Somerset forced his exile back to France where he fought for the French king against Charles V of Spain. Offering his services as a spy to Edward V1 of England he was initially imprisoned in the Tower of London. Upon his release and in a bid to escape his debts Thomas gave his support to Charles V in his struggle with France. A brief unsuccessful return to England where he tried and failed to counterfeit his way to a fortune meant a return to the service of Charles V.
It was 1558 that Stukeley first turned his hand to piracy. After a few forays he then came up with a plan to ingratiate himself with the new Queen Elizabeth to establish a colony in Florida. 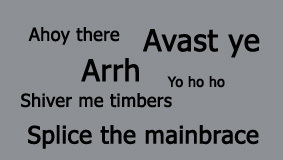 However, he used this as a cover for pirating expeditions closer to home. Elizabeth was besieged by the principal European nations to rein in Stukely, which she did. He survived yet another hearing before turning his rapacious attentions to Ireland, eventually persuading Pope Gregory XIII to sponsor a pro-Catholic invasion. However, instead of leading an attack on Ireland Stukeley was himself persuaded by the king of Portugal to join in on an unsuccessful attack on the Moors in Morocco. He was killed during the ‘Battle of the Three Kings’ north of Casablanca in 1578.